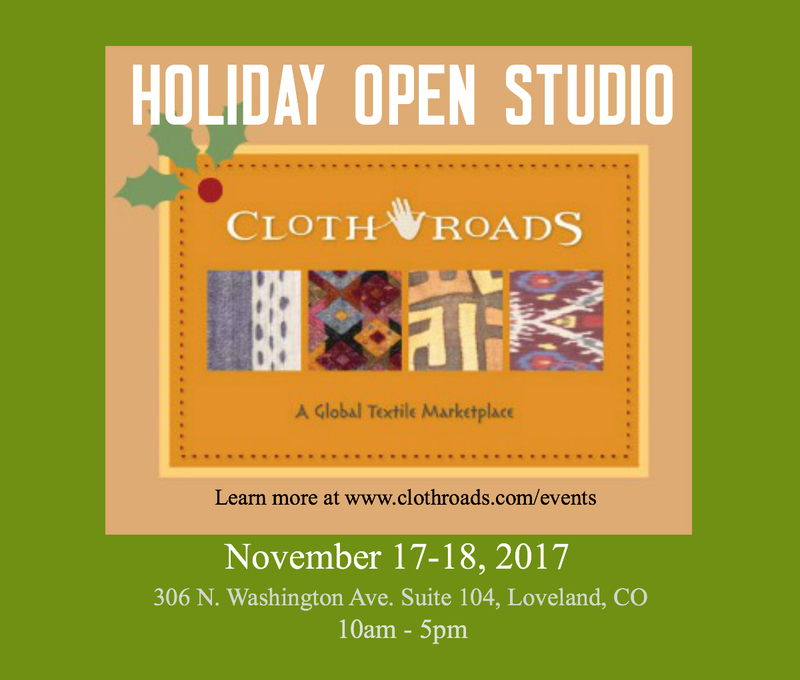 This special Holiday Open Studio will feature a spectacular collection of Peruvian textiles and accessories from the Center for Traditional Textiles Cusco, as well as silk scarves, handwoven shawls, jewelry, handwoven baskets, felted scarves, cashmere scarves, Ikat, Indigo and home textiles from countries ranging from Peru, India, Guatemala, Morocco, Ethiopia, Laos, Nepal and more. Many new items perfect for gifting. Join us to celebrate the season. Expresso, light snacks and textile conversation. 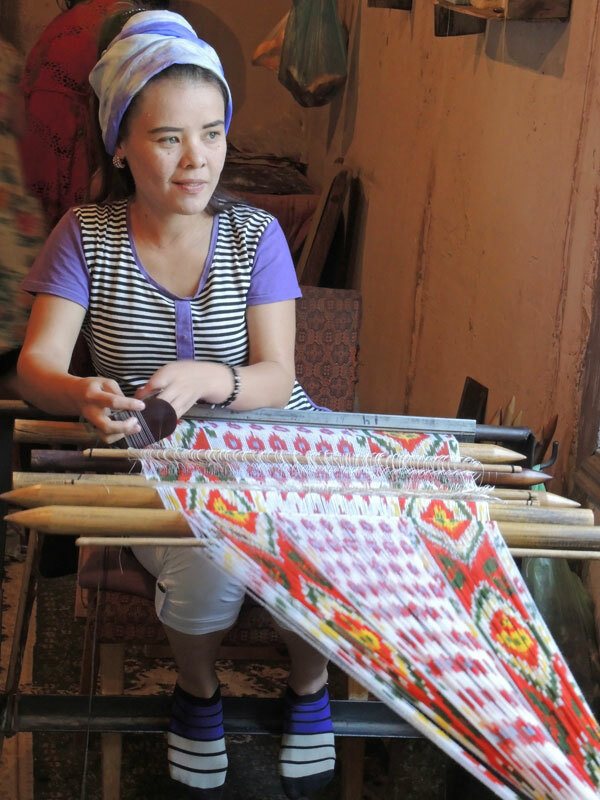 All purchases help to sustain a textile artisan and their family. From the rivers of India to the mountaintops of Peru, we go directly to the source to find textiles made by artisans using ancient natural dyeing methods, subtle and beautiful weaving techniques, spinning, printing, and much more. This cooperative represents a hundred women from low-income families who have joined together to establish self-sufficiency and find markets for their work. Each member learned the craft of traditional button making from their mothers or grandmothers. The buttons are worn on the djellaba (caftan) by Moroccan and Berber women but are also used to create accessories. The Center currently works with over 600 weavers and their families from the nine communities of Acopia, Accha Alta, Chahuaytire, Chinchero, Mahuaypampa, Patabamba, Pitumarca, Sallac, and Santa Tomas. 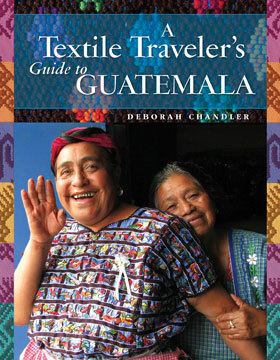 A non-profit, fair trade organization partnering with talented Mayan women in their quest to lift their families out of extreme poverty as they continue to live within the culture they cherish. Handwoven scarves, bandhani, resist-dyed in silk, wool , and cotton. The Red Sari is on a mission to create and sustain jobs for women in Nepal. For the women in this small South Asian country, jobs represent more than income – working liberates them from lives of isolation, builds confidence, and bestows status within their families and communities. 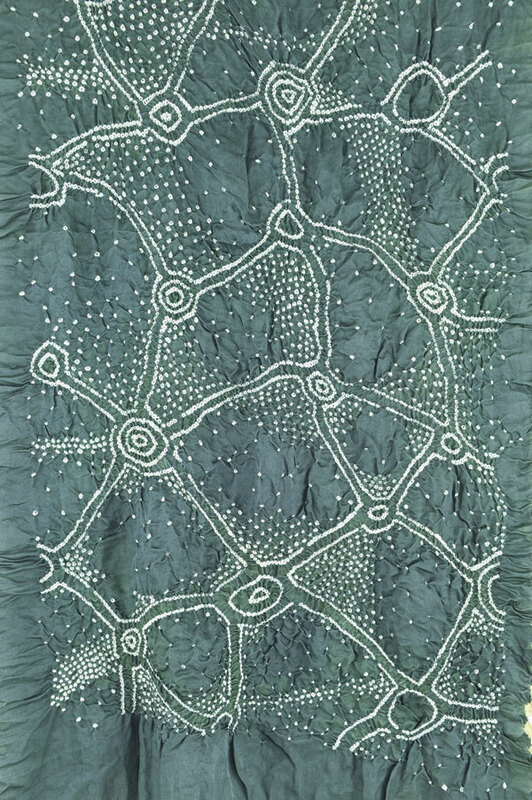 Global Textiles, All purchases help sustain a textile artisan and their family.